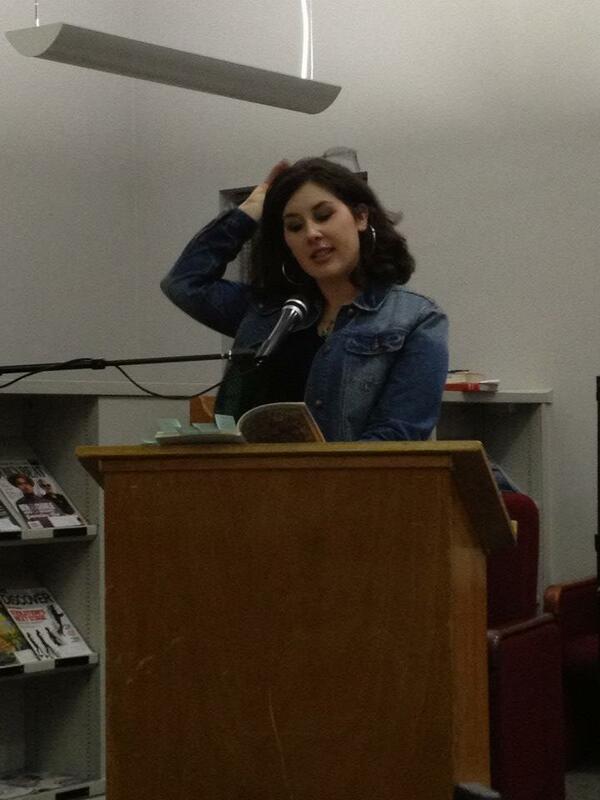 This is a photograph of me reading. I’m taking off my reading glasses but it looks like I’m doing something dramatic and meaningful. In fact, forget the part about the reading glasses. This is a picture of me doing something dramatic and meaningful. myself, whose bodies periodically refuse to work and who are, let’s face it, always like two and a half at the most seconds away from dressing all in white and living in somebody’s attic (because really, what’s the fun if it’s your own attic? ), this is the definition of a blessing, a word that can so often feel insincere and general gives me a queasy case of agita, but which, in this case, absolutely applies. Another part of The Great Blessing of the Internets (ugh, there’s the agita again) is that it allows people whose bodies periodically refuse to work, perhaps because they’re never much more than two and a half seconds away from Emily Dickinsoning up some unsuspecting nuclear family’s attic, to share with others the times they make appearances In Real Life. Such is the case with my reading in the Indian Springs School Visiting Writers Series, which you can hear here. 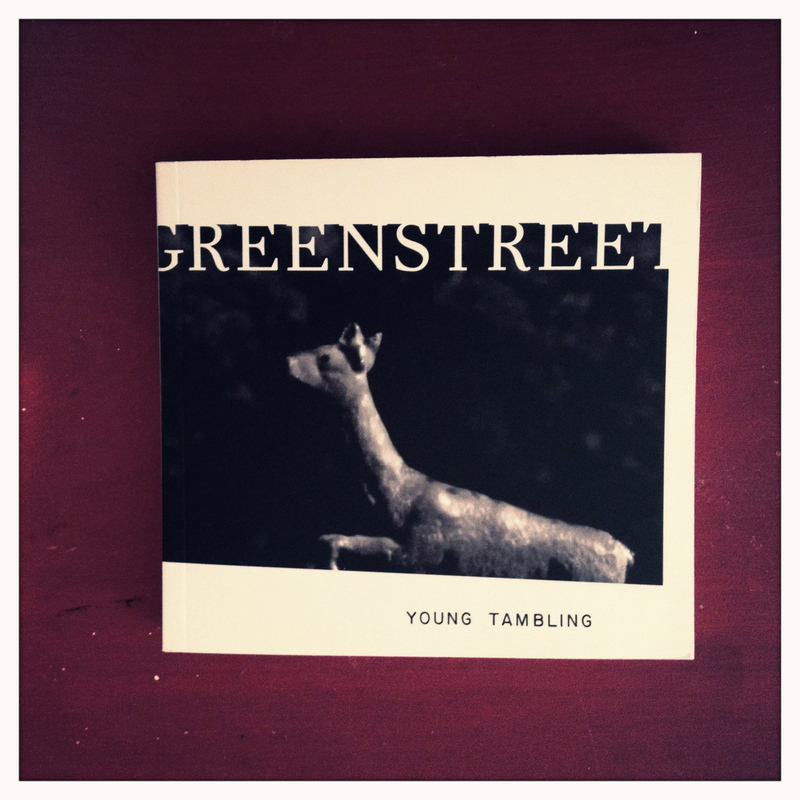 This is a photograph of Kate Greenstreet’s Young Tambling. It’s been Instagrammed because its unfiltered awesomeness would make the Interwebs EXPLODE, and then where would Al Gore, astronaut sloths, and fruit-hatted cats be? big rectangular piece of temporary art. Which is SO RIDICULOUSLY INSANELY AMAZING OH MY GOD I CANNOT EVEN TALK ABOUT IT. It’s like she’s created a work of code-based electronic poetry without the code. Which, seriously. AMAZING. And there are MORE EXCITING THINGS, the first of which has to do with my actually leaving the house and going to another location, specifically Boston, where I will be talking about writing and working and how those things go together at AWP 2013 (HOLLAH). I’ll be moderating a panel on the academic job market with three lovely friends and colleagues, Hannah De La Cruz Abrams (you should totally read her book, The Man Who Danced with Dolls, which is so beautiful I can’t even talk about it and is one of the few books I immediately read again after finishing), Sarah Domet (author of 90 Days to Your Novel) and Jared Yates Sexton (author of An End to All Things). The panel’s called Navigating the Track: The Writer and the Nontenured Position. It’s at noon on Saturday in Room 104 and should be pretty awesome. You can find more information about it on the AWP Website, here. Keep scrolling ’til you find it. I’ll also be a’signing books at the Toadlily Press Table in the Bookfair on Friday at 11:30 am. Come and find me and say hello! I will probably desperately need some coffee too, so if you’d like to bring some my way, that would be great. See? EXCITING THINGS. And God bless Al Gore for inventing the Interwebs so we can all share in them.